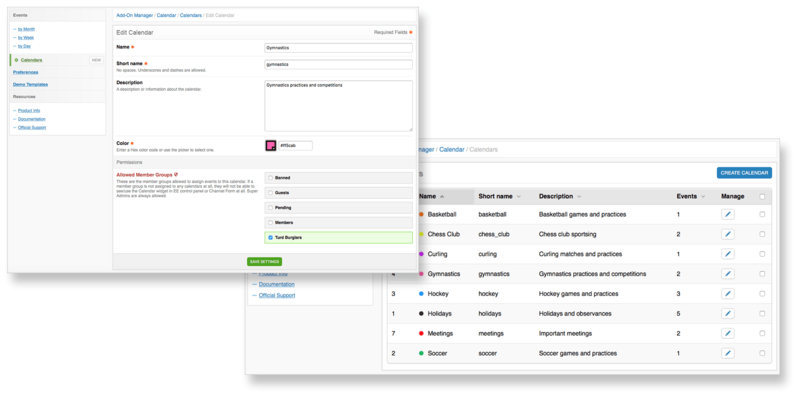 The most powerful event management add-on for ExpressionEngine. 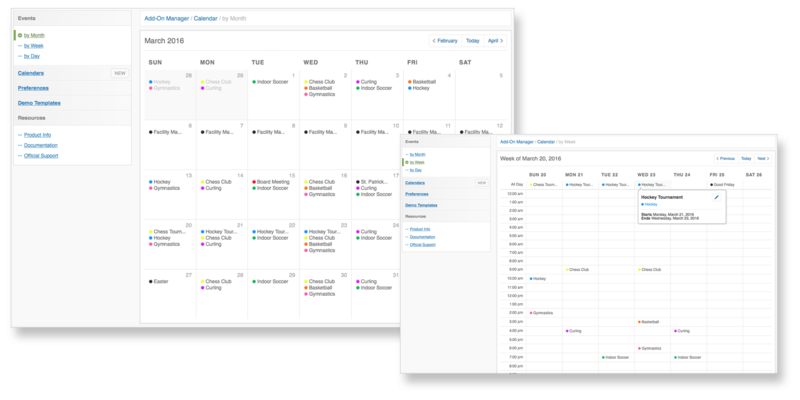 CP includes Month, Week and Day views for easy event management. 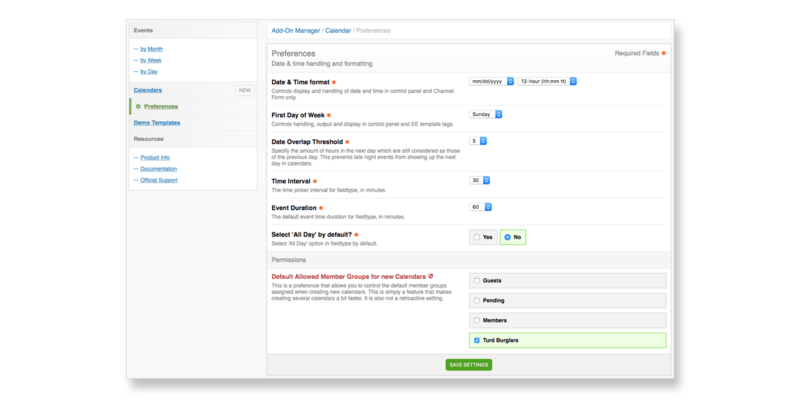 No other Events add-on for ExpressionEngine even comes close to offering this many features! 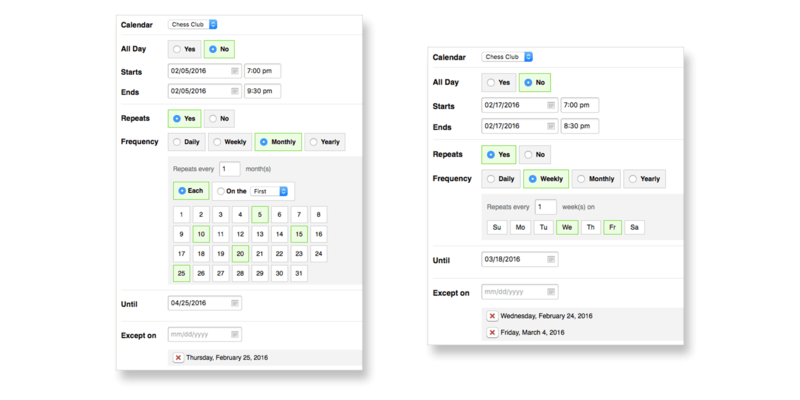 Calendar control panel includes visual Month, Week and Day views for easier management of events. Each purchase of Solspace software includes 1 year of updates from the date of purchase. Once that year is up, you can keep using the last version of Calendar you downloaded, forever. 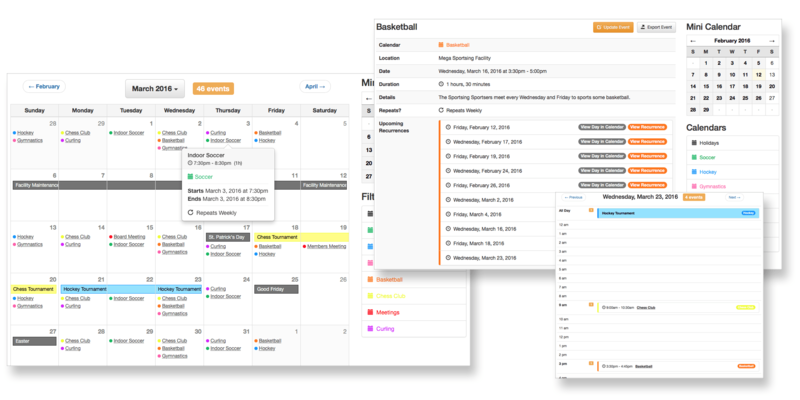 If you'd like to continue to receive additional updates and support for Calendar, you can purchase a renewal for another year at 50% discount (from regular new purchase price).